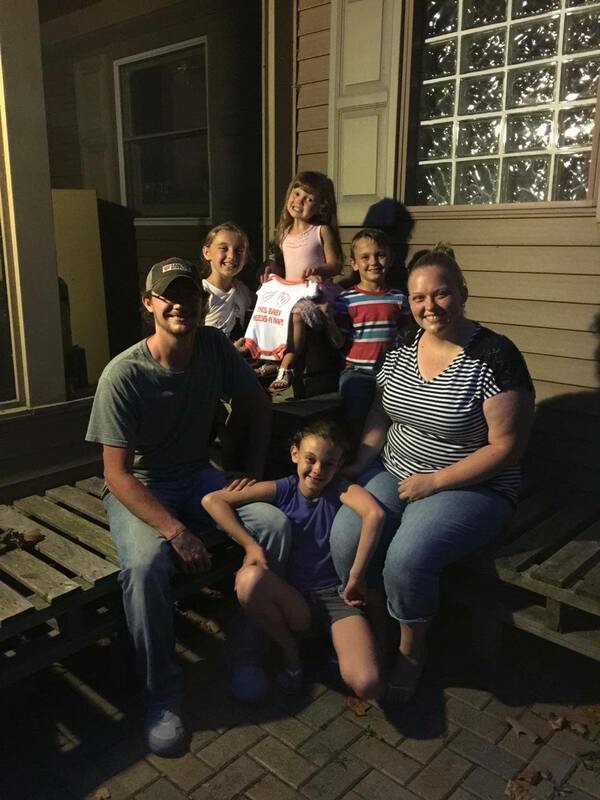 Lord willing Baby Thompson should be here May, 2016! We are sooooo verryy excited! My husband and I have prayed for this baby, and so did our family and friends. We are beyond blessed! My great-uncle said that when people who don’t know us… look at this picture (it’s how we announced it to our friends and family on Facebook) they will think we are related to the Duggars haha. So you’ve probably already done up the math to figure out how far along I am. As of tomorrow (September 9) I will only be five weeks pregnant. Yes five weeks…..still sooooo very early on. We found out when I was only around three weeks!! Most women are just finding out they are pregnant when they reach where I’m at now and some even later. So needless to say…..this is going to be a lonnnnggggg 35 weeks. The baby is about the size of an apple seed right now. Isn’t that amazing?! When we found out I was dead set on waiting until after my first doctor’s appointment to announce to anyone (that did NOT happen). Read my post How I Found Out I Was Pregnant….it’s a doozy! My husband on the other hand didn’t think we should be so secretive about it. I was a nervous wreck! 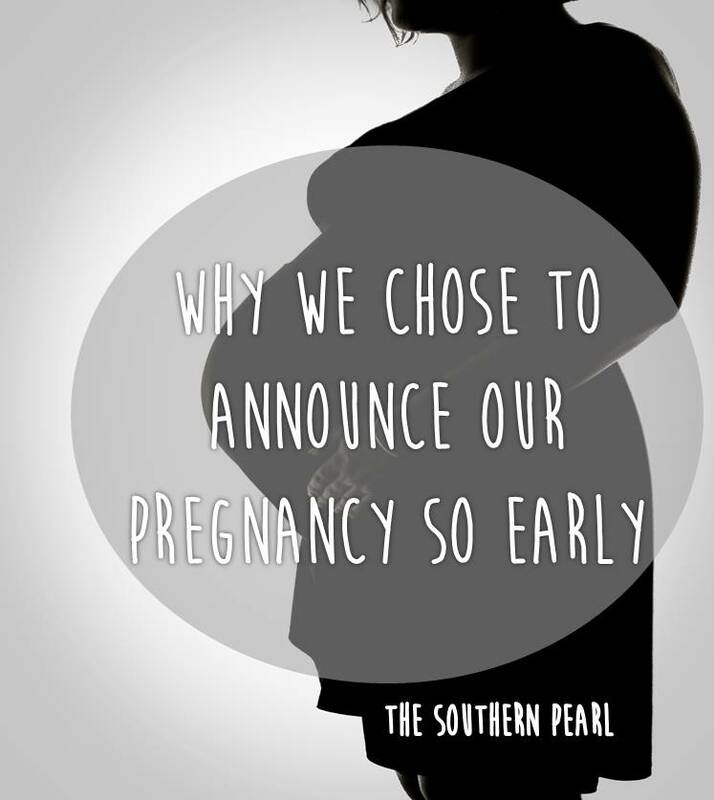 I was terrified to tell anyone because where I am so early on I am at a greater risk of miscarrying (this goes for the whole first trimester). I suffer from terrible anxiety and stress. I worry over every little thing! So of course I am going to be super worried over everything when it comes to this baby. One day my husband and I were talking and he put all of this into perspective for me. We had been praying for this baby for months, and even had others pray for us. After praying He BLESSED us with this baby! Josh said by us not telling others about our blessing I was downplaying my faith. We are not giving the Lord the praises he deserves. When he told me this I felt like I had been hit by a ton of bricks! He was absolutely correct! We had prayed for this baby, He gave us one and I was trying to keep it secret in fear that something bad was going to happen. I might as well have slapped God in the face! I wasn’t putting all my faith in him that he would protect me and this baby. No….to me life begins at conception and we are moving right along with this pregnancy. Of course I am still nervous that something can happen. However, every night as I go to sleep and every morning that I wake….I thank the Lord for this precious baby. I speak to the Lord and let Him know that I know he didn’t have to give it to me and I know that he can take it away at any time. If something down the road does happen then I have to realize that it is all a part of His plan. Of course I will be hurt but I have to know that he has a reason for everything. So I will keep praying and talking to Him and I would appreciate all the prayers I can get. This is going to be a lonnnnnggg but amazing journey and I am glad that I have Him on my side :).